According to the world of Mallory Pike, if you’re eleven and don’t have contacts, pierced ears, cool clothes and a stylish haircut, you’re a freak. Having never had, or wanted, my ears pierced, I don’t see what the big deal is now, and I’m unsure I saw what the big deal was back when I was a pre-teen. Perhaps it’s why I never cared all that much for Mallory, since her appearance is what she largely focusses on, when she isn’t child-wrangling; she can be such a whiney, self-obsessed little girl. Surprisingly, I have found Mallory more interesting during this re-read. I think it’s owing to her backbone, revealed in Hello, Mallory!, where she stood up to the bitchy, racist girls in her group on behalf of new-girl Jessi, and for having a go at Kristy Thomas about the unfair, convoluted trials she subjected Mallory to prior to letting her join the BSC. The backbone takes a bit of a backseat in Mallory and the Trouble with Twins – at least for a while – and my headcanon whiney Mallory rears her ginger-curled and bespectacled head. — two afternoons a week, while their kooky and “busy-looking” mother chairs some project at the local primary school. 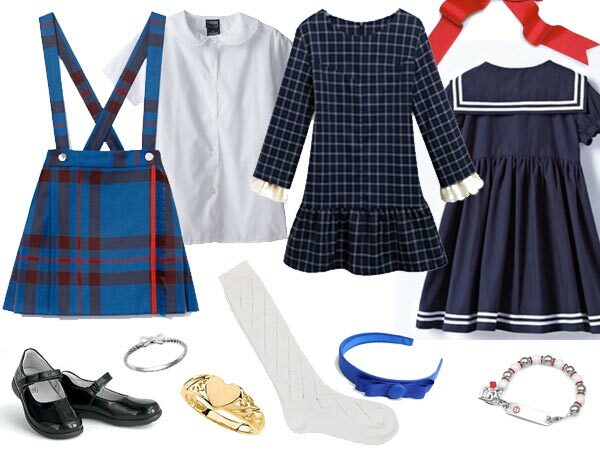 Both girls were wearing blue kilts with straps that went over their shoulders, white blouses with lace edging the collars and sleeves, white knee socks, and black patent leather Mary Jane shoes. Their brown hair was cut in a bowl shape, framing their faces, and each twin had put on a blue headband with a blue bow on the side of it. Also, each wore a silver ring on the pinky finger of her right hand, and a beaded identification bracelet on her left wrist. Matching plaid dresses, white tights, black patent leather Mary Jane shoes, red ribbons in their hair, gold lockets, gold rings, pink nail polish, and (thank goodness), their name bracelets. Marilyn and Carolyn, dressed in blue sailor dresses, red hair ribbons, white tights, and their Mary Janes, took off their bracelets, dangled them rudely in front of me, and dropped them on the floor. She was wearing two necklaces, a pin, bracelets on each wrist, rings, earrings, and even an ankle bracelet. Her stockings were lacey, and she was, well, as Claud might have said, overly accessorized. Practically everything she wore had a bow attached. There were bows on her shoes, a bow on her belt, a bow in her hair, and a bow at the neck of her blouse. Her sweater was beaded, and she hadn’t forgotten to pin a fake rose to it. Whew! 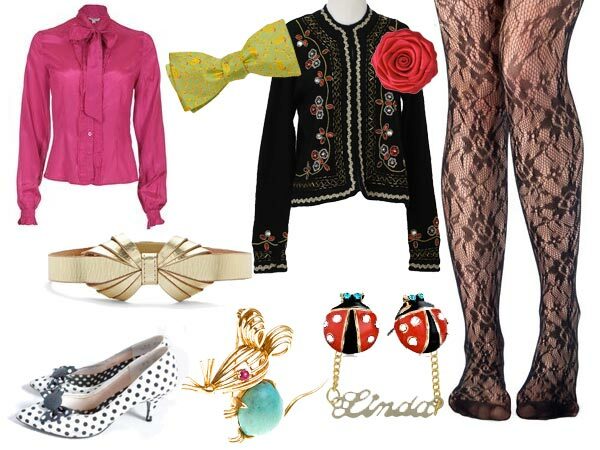 As for cute, her earrings were in the shape of ladybugs, one of her necklaces spelled her name – Linda – in gold script, her pin was in the shape of a mouse, and the bow in her hair was a ribbon with print of tiny ducks all over it. It’s strange; you’d expect such a free spirit to encourage the individual tastes of her daughters. Individuality – naturally – turns out of be the “trouble” referenced in the title, and the theme of the whole book. The twins are desperate to be counted as two different people with different tastes, but thanks to their identical appearances, outfits, hairstyles, toys and gifts, they are referred to by most of their school as “Marilyn-or-Carolyn” and believe that the world sees them as one person. — until she refers to the girls as adorable bookends. From that moment on, it’s war, to Mallory’s complete confusion. I’m unsure why it takes her so long to figure out what she’s done wrong – literally the moment she says they’re like a pair of adorable bookends, the twins snap. They remove their name bracelets whenever Mallory’s over, which was the only way Mallory could tell them apart, and either ignore Mallory completely, or speak to her in their twin language. “Der. Blum snider,” was Carolyn’s response. What was going on? The girls were using their twin talk so much I didn’t have a clue. The rest of the Baby-Sitters Club wonder if the problem with the job is actually Mallory herself (way to have faith in her, you guys…), until Claudia sits for the girls one Saturday, and they’re just as impossible with her. Once Mallory realises that the problem is that the twins as desperate to be seen as two people, she starts to gain their favour. She does this by…speaking to them only in Pig Latin. You know – at-that annoying-hay anguage-lay ere-whay ou-yay ut-pay e-that irst-fay etter-lay at-hay e-thay end-hay – oh forget it, it’s hellishly annoying, to type and to try read! Pig Latin frustrates the twins as much as it does the reader – so much so that they agree to cut the twin speak crap, as long as Mallory teaches them Pig Latin. As annoying as it is, hands up anyone else who started speaking Pig Latin after reading this book? 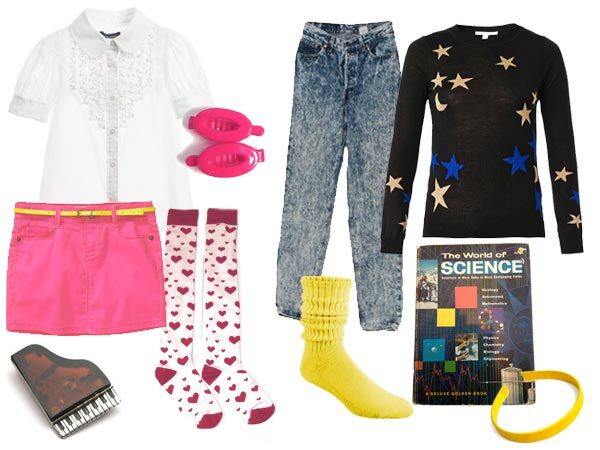 Mallory then wins their hearts and assures their good behaviour by buying them different birthday presents – a piano pin for Marilyn, and a science book for Carolyn. The girls are shocked but grateful – Mallory’s are the only two gifts that aren’t identical. Carolyn bought some push-down socks like the ones I’d gotten, except they were yellow, to match her new sweat shirt. The character arc side of the book revolves around Mallory not feeling individual enough either. Desperate to no longer be “a freak”, after her success with Mrs Arnold, she decides to bargain with her parents over the things she feels will create, as she starts to (annoyingly) call herself, The New Mallory Pike. They agree to let her get her ears pierced, and hair cut – if she pays for most of it herself. Excited by her partial success, Mal encourages Jessi to ask her parents to get her ears pierced – and of course, they fold too. CUE BSC MALL OUTING! SQUEE! The Baby-Sitters Club have their first ever club “malling” (Claudia-ism. All I could think was “mauling” when she said that – cue images of the BSC girls attacking a group of shop mannequins…). Mal and Jessi get their ears pierced; Claudia gets a third hole punched in one of her ears and nearly faints, and Dawn, on impulse, gets two holes punched in each ear, because Dawn’s so cool and individual, as Mallory constantly reminds us. 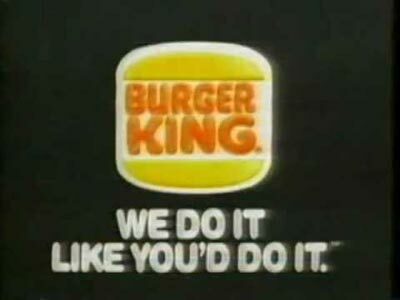 They shop, they laugh, they have lunch at Burger King. Happy days. This book had a number of choice outfit descriptions, given that Mallory is obsessed with appearance. Our president, dressed in jeans, a white turtleneck, a pink-and-blue sweater, and new running shoes, was sitting in Claudia’s director’s chair. Her visor was in place, and a Connecticut Bank and Trust pencil was stuck over her ear. [Claudia’s] long hair was fixed in about a million braids which were pulled back and held in place behind her head with a column of puffy ponytail holders. 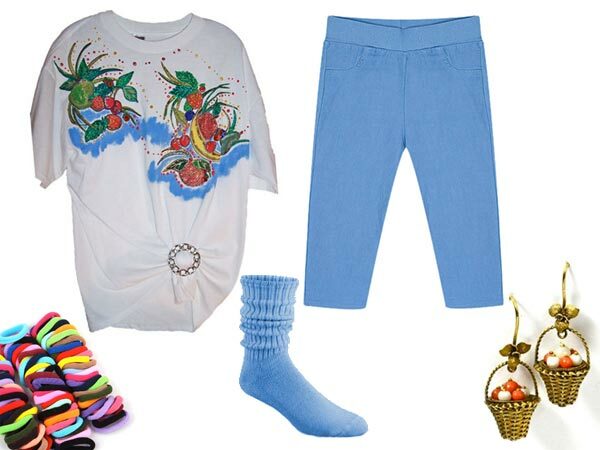 She was wearing a T-shirt she’d painted herself, tight blue pants that ended just past her knees, push-down socks, and no shoes. From her ears dangled small baskets of fruit. 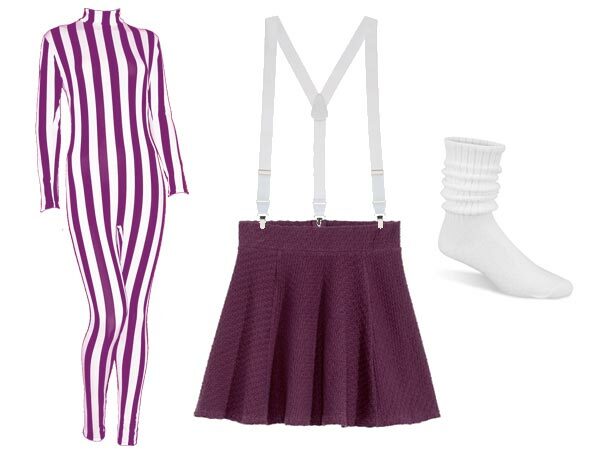 Mary Anne was wearing a short plum-colored skirt over a plum-and-white-striped body suit. The legs of the body suit stopped just above her ankles, and she’d tucked the bottoms into her socks. I don’t know where her shoes were. She’d taken them off. The neat thing about her outfit was that she was wearing white suspenders with her skirt. Dawn was wearing this cool oversized (really oversized) blue shirt. One of the coolest things about it was that it was green inside, so that when she turned the collar down and rolled the sleeves up, you could see these nice touches of green at her neck and wrists. 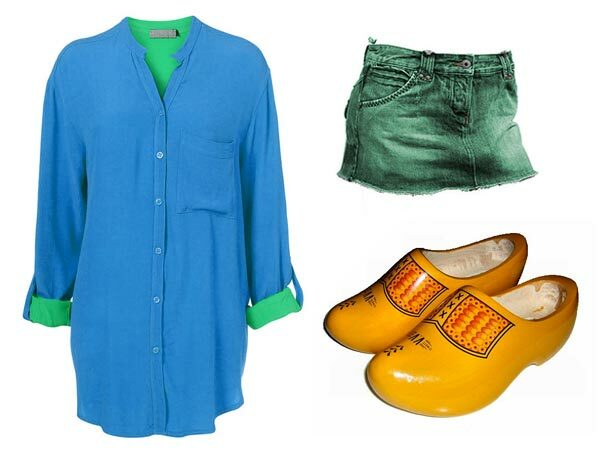 She was wearing a green skirt – and clogs. I’d never seen a person actually wearing clogs, just photos of people in Sweden. I think you mean Holland, dear. Jessi and I looked dull, dull, dull. We were both wearing jeans. 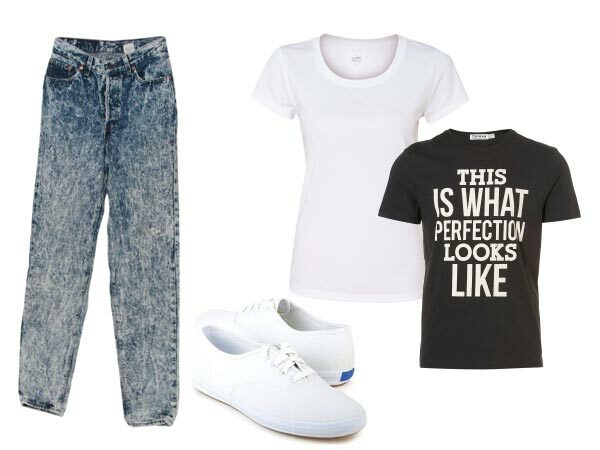 Jessi was wearing a T-shirt that said You are looking at perfection. And she was wearing running shoes. But no interesting jewelry or anything else. Same with me. I was just wearing jeans, a plain white shirt, and running shoes. Yawn. There’s also a ton of earrings spotted, made, exchanged and bought; tiny studs in the shape of open books (Mal buys for herself and Jessi), earrings in the shape of California (yeah, the state. Guess who for? 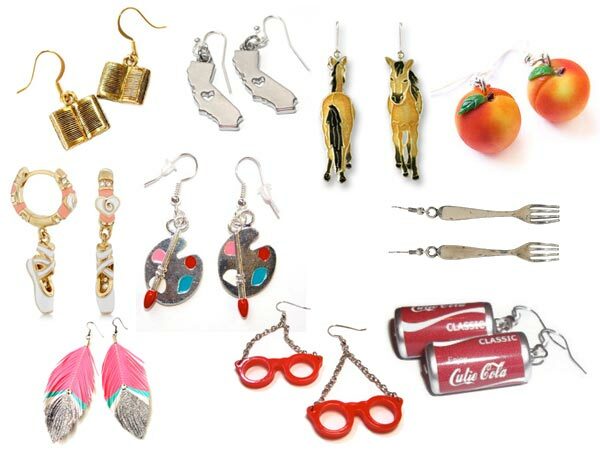 ), gold loops with oranges hanging from them, earrings that looked like artist’s pallates, ballet shoes, and horses; plus random ones that Claudia makes for everyone, which are wild bunches of miniature Coke cans, eyeglasses, forks, animals – and more – with added feathers and beads (Mrs Arnold would have loved them, but the sounds). Plus a trip at the very start of the book to Antoinette’s Shoe Tree, where Mallory is bought loafers, instead of “these extremely cool pink shoes with green trim”. [Kristy] went to her room and found her matching dress. She took off her jeans and turtleneck and put the dress on. She barely managed to zip up the dress. Then she found a pair of white stockings and looked for some black shoes. She didn’t have Mary Janes, of course, but she found some black flats and slipped into them. She smiled at herself in her mirror. Then she returned to Karen’s room. “Hi, you guys!” she said. Karen and Hannie turned to look at their “triplet”. “What do you think?” asked Kristy, pleased with her idea. The girls nodded. “I think I’ll change,” added Karen. Other than that, it’s all a bit…identical to every other Mallory book in my headcanon: Mallory complains for 12 chapters about her appearance; Mallory talks to her parents; Mallory has a small win and buys something that makes her feel better about herself. As poor as message that may be sending to pre-teens, it’s done harmlessly – and assures we’ll be treated to plenty more outfit descriptions in the future. So while Mallory’s obsession with looks and clothes drove me away from the character when I was little, I’m fine with it, now! After drafting this review, I got to wondering when I’d encounter the first Super-Special Baby-Sitters Club book in the chronology. A quick Google determined that I’d missed Baby Sitters On Board!, Super Special #1, which takes place before Stacey goes back to New York. Whoops! I’ll be playing catch-up with the next re-read. Want to take part in the re-read and listen to Mallory drone on endlessly about wanting contacts and earrings? 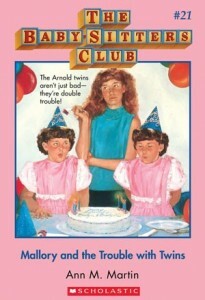 You can buy Mallory and the Trouble With Twins on Amazon for Kindle, for about $5. Why did Mallory even bother to mention Mary Anne’s socks if she had taken them off anyway?! But aside from that: I can’t really remember this book. I never really liked Mallory as a character so I rarely bought or reread her books. I think she started to grind my nerves because she was always trying to be so grown up. Good point – why did Mallory mention Mary Anne’s lack of shoes at all? 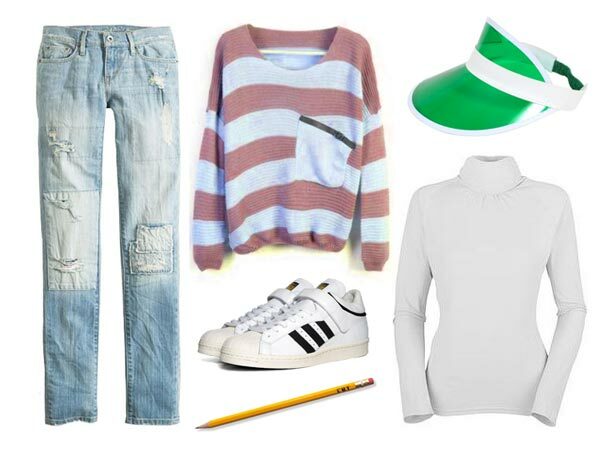 The outfit seemed very un-Mary-Anne-ish this time around, too. 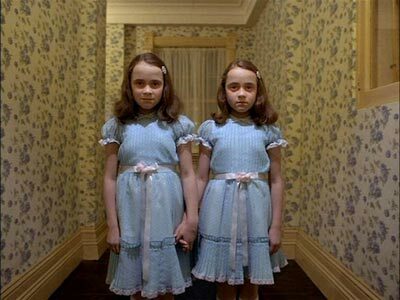 Mallory’s whininess always got to me as a kid, so I didn’t like her much either. AMM makes her out to be this level-headed and practical kid according to the other BSC girls, prior to her joining them, but once she does, all she seems to care about is how she looks, and how unfair life is. Glad you think it was worth the wait! I felt a bit disjointed in writing it over such a long time so glad that it still manages to be an enjoyable enough read. Alright so I just aggressively read though all of your reviews, and what a hoot it was. I hope you eventually turn back to them even just to be proud of how many people enjoyed them. You definitely made me laugh out loud many times. Congrats on the baby, maybe toddler now, I’m betting there’s no way you would leave your infant with any of the BSC girls. This was hirlarious, as always. Mallory always drove me crazy (sounds like 90%+ of us), but now I have to wonder if I was like her. I cared about my appearance a little too much – not at that age, exactly, but as a teen – only I had perfect eyesight, no braces, etc. Just felt ugly. I never told anyone, though, just always thought it -so makes me wonder if that’d be me if I wrote a book…? Otherwise, though, I suspect Logan was only at the meeting so we could find out about his existence in-depth. And why on earth did Mallory keep saying Dawn was “an individual”? To stress the plot? Honestly, it drove me crazy!